The climate of the earth is changing rapidly, and birds are responding accordingly. Of the 305 species found in North America in winter, nearly 60% have shifted their ranges northward by an average of 35 miles. As some places become unsuitable for the birds now living there, new areas will become available. We can anticipate these changes and begin to improve those sites. For example, the rare Kirtland's Warbler breeds only in young jack pines in Michigan, Wisconsin, and Ontario. To help the warblers in the future, biologists now plan to introduce them into suitable habitat farther north. New stands of young pines there may be optimal places for the warblers as the climate warms. Not all bird species will be able to adapt. But birds have survived past dramatic changes in climate. And there are ways we can help them. Song of the Kirtland’s Warbler  recorded by G.A.Keller and provided by The Macaulay Library of Natural Sounds at the Cornell Lab of Ornithology, Ithaca, New York. 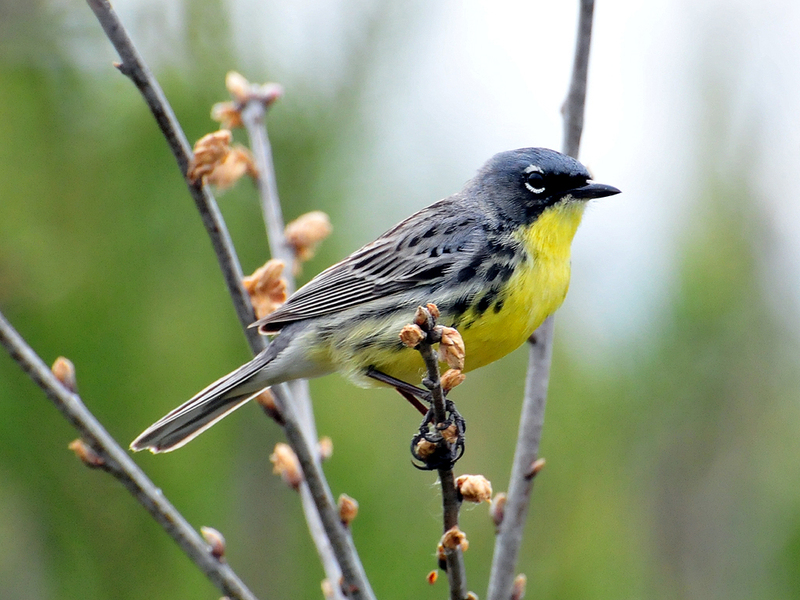 Listen to a BirdNote about Kirtland's Warbler conservation!